185-6/19 (PM) to Fiefs, Fr, 186-6/20 to Hamburg, Gr, 187-6/21 to Berlin, Gr. Sgt Philip Bruno (RWG) - Flew on the 2Lt Morningstar crews first nine missions (176, 177, 178, 179, 180, 181, 182, 183, 184). Crew size reduced from 10 to nine men with deletion of the second Waist Gunner. 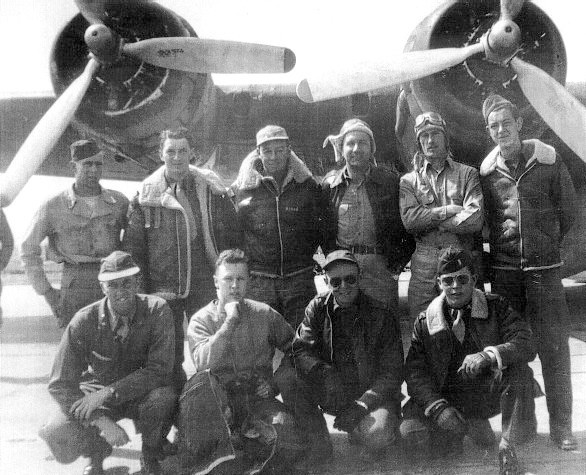 Sgt Bruno did not fly on the crew's last three missions (185, 186, 187) and flew on no more 303rd BG(H) missions. 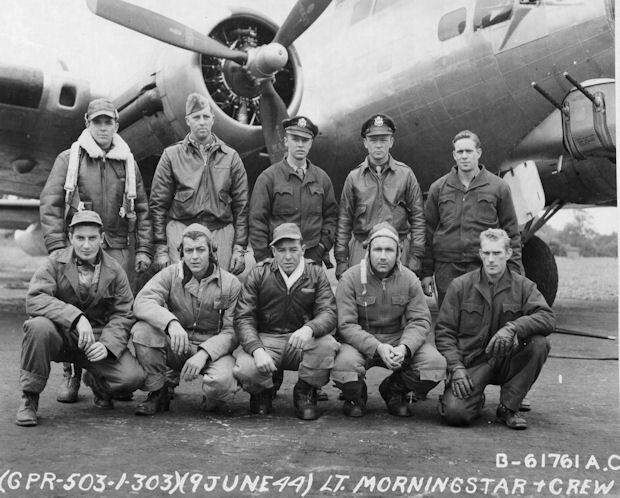 Other Crewmen - Flew on all twelve of the 2Lt Morningstar Crew missions. Mission 180 - Credited abortive sortie. Bombs not dropped.